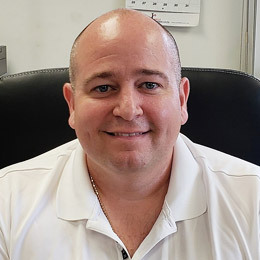 As Vice President of Efficiency Enterprises, Jeremy Karmel is responsible for the leasing, sales and service activities in the tri-state area (New York, New Jersey, and Connecticut). With more than two decades of leadership experience in the transportation industry, Jeremy has directed the growth of Efficiency Enterprises since 2003. Customers including Gate Gourmet, Empire, Triumvirate and Allied Beverage Group, have known Jeremy as a hands-on leader that puts customers first. With our primary facility located in Astoria, New York, Jeremy is also responsible for locations in New Jersey and Connecticut. Jeremy’s life-long love of all things automotive began when Jeremy was only 13 when he started building dirt bikes and race cars. While completing his degrees, Jeremy continued to work doing auto body and mechanical repairs. He holds a Bachelor of Science degree both Automotive Technology as well as Business Management from the State University of New York, Farmingdale.